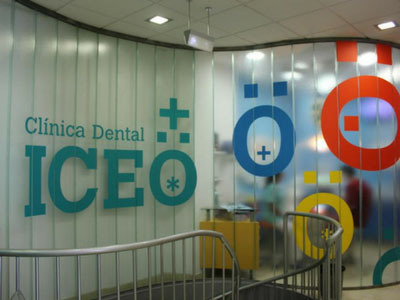 In the ICEO clinics (Canary Institute of Dental Specialties) we want to take care of your oral health. Therefore, the day you come to know us, we will propose a treatment that suits your needs. 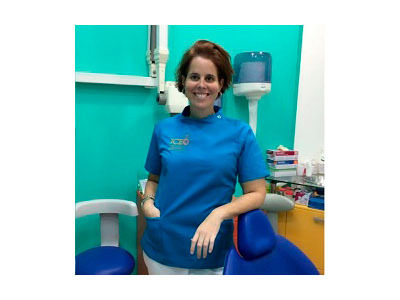 For this we have an experienced professional human team specialized in implantology, orthodontics, periodontics, surgery, endodontics, dental aesthetics, prosthetics or pediatric dentistry. On the other hand, we have the most cutting-edge technology and the comfort of our modern facilities, so that any treatment you may need you will find in our clinics. Mini dental implants: With dental mini-implants we can fix your dental prosthesis in a single session in the dentist's office. Zirconium implants: Zirconium implants are 100% biocompatible. Our body does not reject zirconium and, therefore, it is the preferred modern material for biomedical applications. The bone recognizes the zirconium implant as if it were a part of the body itself, for this reason there is no sign of inflammation around the implant. 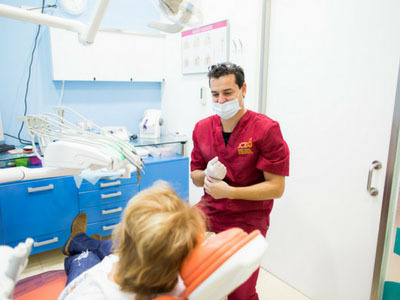 General implantology: Dental implants are, in the vast majority of cases, the best solution for replacing the missing pieces, since, in addition to appearing and functioning as own teeth, it is not necessary to sacrifice neighboring teeth, they reduce the bone loss that occurs after loss of a tooth and provide great security, confidence and comfort to those who wear them. 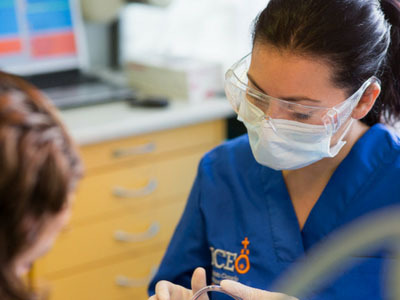 In addition to the traditional titanium implants, ICEO Dental offers the latest in dental implants in Las Palmas with the guarantee of having its own prosthetic laboratory with the latest available technology, where our professionals work on the best solution for each particular case. Veneers: Dental veneers enter into cosmetic dentistry because they create white, bright smiles with well-aligned and equal teeth. These are small sheets that stick to the outer part of the teeth using a cement or special resin that firmly fixes both upper teeth and lower teeth. Whitening: It is an aesthetic treatment that allows the color of the teeth to be clarified several shades. 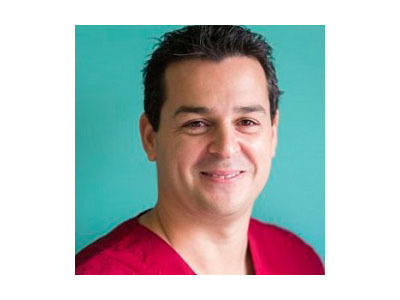 Dental Aesthetics: In our clinic we have a wide variety of treatments designed to improve dental aesthetics and restore harmony to the smile. 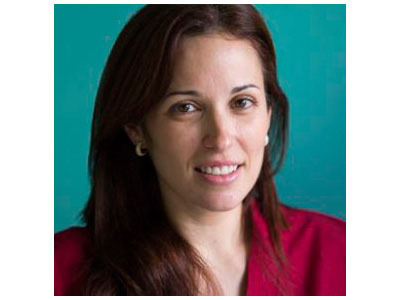 Invisalign®: It is a state-of-the-art orthodontic technique that allows malocclusions to be corrected without braces. With the help of 3D technology, we will plan your treatment and show you what movements your teeth will perform and what your final smile will be. Once the treatment is accepted and we are satisfied with the preview of the final result, we send this treatment plan to the Invisalign® center in California (USA), where we make transparent "removable" aligners, made to measure for you. particular case. These aligners are replaced every other week by others that adapt to the new position of the teeth. With this system, progressively improving the position of the teeth, until obtaining the ideal result. Metal Fillings Removal:We specialize in the extraction of metallic fillings, so that the patient can avoid the risks that exposure to mercury might pose to health. Zirconium: An important advance in the field of dentistry in recent years is the use of zirconium to make crowns or structures on natural roots and on implants. 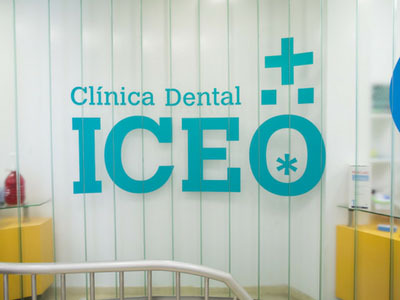 Dental clinics ICEO, thanks to the collaboration we have with our strategic partner Phibo, has of the professionals and the necessary equipment to perform the zirconium prosthesis to your complete satisfaction. Painless treatment: In our effort to offer the best to our patients, and to provide pain-free treatment, we have incorporated the application of the technique of conscious sedation to certain groups of patients. OrthoApnea: OrthoApnea is a state-of-the-art Mandibular Advancement Device (DAM), a patented intraoral splint made entirely to measure, adapting to the patient's mouth so that it does not cause discomfort or chafing. OrthoApnea is especially indicated for the treatment of snoring and snoring. Sleep apnea. The design of the device allows advancing the jaw to the ideal position to avoid air obstruction. It is the only proven oral solution against snoring and sleep apnea syndrome, and its efficacy is supported by numerous clinical studies. Joint pain:In cases where there is a malocclusion, the treatment will be aimed at correcting this factor. Orthognathic surgery (maxillary mobilization surgery), orthodontics, occlusion adjustments (modification of the masticatory surfaces of the teeth) are treatments that will respectively correct bone malocclusions, dental malocclusions and interferences of teeth in the occlusion or bite. 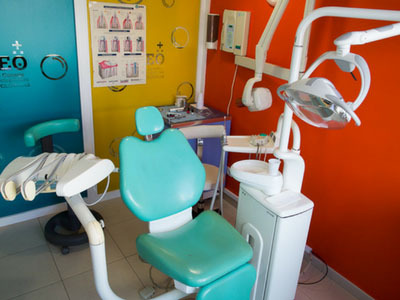 Pediatric Dentistry: At the ICEO dental clinic we know that children deserve special care, that is why our specialist in pediatric dentistry makes sure that your visit to our practice is a positive experience. Oral Surgery: We carry out the diagnosis and the surgical treatment of the diseases, anomalies and injuries of the teeth, the mouth, the jaws and their contiguous tissues. Oral Rehabilitation: Oral rehabilitation is the part of dentistry responsible for dental restoration due to situations of tooth loss or to solve aesthetic problems. By means of dental prostheses it returns the aesthetic function and oral harmony always looking for an occlusion and correct functionality. Endodontics: Occasionally, as a consequence of caries, trauma or other infections, an irreversible inflammation of the pulp may occur (part of the tooth where the nerve is). When this occurs, it is essential to completely eliminate this diseased pulp to clean, decontaminate and fill the ducts inside the root of the tooth. This procedure is Endodontics, commonly known as "removing or killing the nerve". Periodontics: It is a specialty of Dentistry that is responsible for the treatment of periodontal disease, ie diseases of the gums and the bone that holds the teeth. If the periodontal disease is not treated, it can bring serious consequences for health, from the Loss of teeth, even cardiovascular diseases, respiratory problems, alterations of diabetic patients, and even in pregnant women can cause premature births. Therefore, it is essential to review periodontal health, at least once a year. Orthodontics: It is the specialty of Dentistry is responsible for the proper alignment of the teeth to provide a stable bite and an important aesthetic improvement of the smile and face.We always perform a comprehensive study of each individual case involving a dental, periodontal, skeletal, facial, aesthetic and myofunctional to reach an exact diagnosis that results in perfectly aligned teeth and a beautiful smile.